April 10, 2014- Memphis, TN- Glankler Brown, PLLC is pleased to announce that Matt Brinner, Laurie M. Thornton and Ross E. Webster have been promoted to Members of the firm. Matt Brinner concentrates his practice in the areas of corporate and business transactions, real estate and secured lending, as well as commercial property tax appeals. He has worked with many entrepreneurs and business owners in connection with the formation, structuring and representation of various business entities. Matt has also represented numerous investors, developers, landlords, tenants, lenders and other participants in connection with both residential and commercial real estate developments, condominium conversions, commercial leasing transactions (including office, retail and industrial leases), secured lending, business and real estate financing, and other business transactions (including both asset and stock acquisitions and dispositions). He currently serves on the Board of Directors of Osiris (a Grand Krewe of Carnival Memphis) and is a member of the Rotary Club of East Memphis. Laurie M. Thornton concentrates her practice in the areas of residential and commercial real estate. She successfully manages relationships with mortgage lenders, title companies and the general public, focusing on client objectives and responding to clients’ needs with measurable results. Her practice includes resolving multigenerational land title issues for trust and estate planning, providing residential closing services for lenders, buyers and sellers, averaging more than 200 transactions annually. She also represents investors, developers, landlords and tenants in connection with residential and commercial real estate acquisitions and developments. 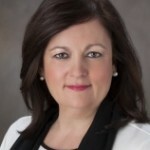 In addition, her practice includes the representation of local business owners in connection with lease negotiations for office and retail space, as well as local and national investors with acquisitions of single-family investment properties. Prior to her career at Glankler Brown, Laurie worked as a Prosecuting Attorney and a Public Defender for Shelby County. 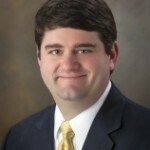 Ross E. Webster joined Glankler Brown, PLLC in 2005, and is licensed to practice law in both Tennessee and Mississippi. Ross has a wide practice range, but the majority of the time he is defending his clients in business litigation. He has extensive experience litigating contract disputes, construction matters, employment related claims on behalf of employers and issues related to executor/trustee liability. Ross also assists the firm’s clients in complex securities litigation before the Financial Industry Regulatory Authority. 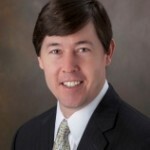 In 2012, Ross was selected as a Rising Star in Business Litigation by Mid-South SuperLawyers and, in 2013, obtained a BV peer review rating by Martindale-Hubbell. He also serves on the Board of Directors for the historical and cultural Cotton Museum which opened in March of 2006. ABOUT GLANKLER BROWN: Based in Memphis, Tennessee, Glankler Brown, PLLC attorneys represent clients with matters throughout the United States and abroad. In addition to Tennessee, the firm’s attorneys are licensed in Mississippi, Arkansas, Alabama, Illinois, Georgia, Maryland, and the District of Columbia. With experience in more than 35 different areas of law, Glankler Brown’s attorneys deliver quality legal services to local, regional, national and international clients.